With TransFollow senders of cargo, logistics providers and recipients can input, exchange and sign a single uniform and standardised digital consignment note. The TransFollow platform also facilitates standardised track-and-trace information between the partners in the chain. TransFollow offers legal certainty and is just as reliable as a paper consignment note. With this secured, standardised digital solution, the logistics sector can optimise the consignment note process and improve communications between all the partners in the chain. A Walktrough section with an explanation of authentication and the first steps using the TransFollow API. The LifeCycle page describes the lifecycle of a freight document related to the process of the cargo transfer. The Concepts page describes the main concepts behind the TransFollow FreightDocument, the TransFollow Approval, Account structure and Permissions. The Reference part offers the error syntax and an overview of applied practices and standards. TransFollow app intents documents the integration interface for Android. The API Specifications describes all public endpoints, including the attribute names and processing rules per endpoint. The Release Notes offer a description of component and API changes for a specific version. If you want to connect to and use the TransFollow API, you should be familiar with the HTTP protocol, the JSON data representation and REST principles. Also welcome is OAUTH2 knowledge. 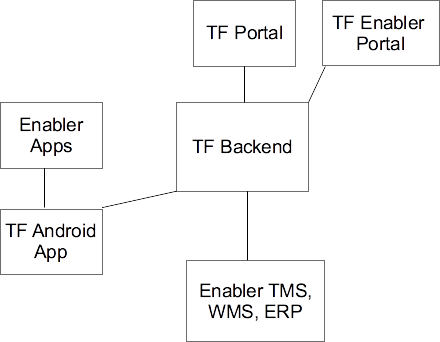 If you are developing for Android, consider using our TF App integration interface in your app. For implementation support contact us at support@transfollow.org or +31(0)6 23 90 9477 (during working hours, our office is based in the Netherlands).